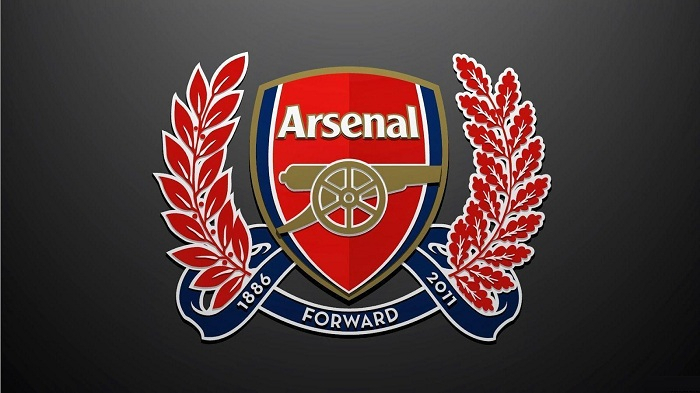 The appeal has been written by two former Arsenal FC fans – Sanan Najafov, an ethnic Azerbaijani refugee who was forced to leave his home in Armenia in 1988, and Leyla Afandiyeva, an internally displaced person from the Azerbaijani city of Aghdam, which was occupied by Armenia. In fact, we had planned to write this appeal prior to Arsenal’s match in Baku. However, there were two reasons not to address such an appeal. First of all, we were expecting reaction of the worthy Arsenal fans before the away match. Secondly, we were worried that it would not be appropriate to link politics to football and football to an ethnic conflict and war. On one hand, our inner voice was telling us that there would be reaction by Arsenal fans, but unfortunately, this did not happen. On the other hand, our inner voice was making us write such an appeal “since the image of one country and its recent history are harmed by an irresponsible football player, who links football to politics. This appeal is not aimed at responding to someone and praising our Motherland. Our purpose is to shed light on the truth and express ourselves. The appeal contains our biographies. We swear on sacred books that we will express the voice of our conscience and our terrible pain. Please don’t misunderstand us, we have to save the wrong penalty caused by a “political simulation” while some expect a victory assist from Henrikh Mkhitaryan at Emirates Stadium. We live in the world that is full of advertisements, PR, changeable personalities and biased consultants. Most of them strive to distort the truth, hide everything and create a false image. A person, who wants the truth, does not hide or distort it. Da Vinci had to portray the “Good” in the image of Jesus and the “Bad” in the image of Juda. He stops his work and goes for a search to find right models with appropriate images. By chance while listening to a Church choir, he discovers a young man who had a perfect Jesus image. He offers the young man some money to be the model for his painting, and the young man agrees with his offer. Except the image of Juda, the painting was almost ready. However, despite three years of search, it was not possible to find the perfect villainous face for Juda. The Church cardinal, who ordered the painting, was pressuring Da Vinci to complete the work. He even set a deadline for it. Again by chance, Da Vinci sees a drunk young man in front of a tavern. Da Vinci sees the famous betrayal in the face of a young aging man, and asks his assistants to bring him to his workshop. After becoming sober, the young man, who did not fully understand where he was, had anxious, betrayal face which was perfect model for Juda image. After getting fully sober, the young man looked at the painting with amusement and said that he remembered it from somewhere. We will explain why we talked about this parable at the end of the appeal. Let’s return to nowadays. Probably, you remember what happened before the match between Qarabag FK and Arsenal in Baku in October this year. We are talking about Henrikh Mkhitaryan, a member of the British club, who refused to visit Baku on a ground of “concern” over his personal safety. Let’s take a quick look at the recent past. Azerbaijan regained its independence only 27 years ago. The military invasion of the Soviet Union put an end to the first independence (Azerbaijan Democratic Republic, the first democratic republic in the Muslim East in 1918). We had lived under occupation for 71 years. When the Soviet Empire collapsed in 1991, we did not get our independence in a silver plate as many other countries in the Soviet Union did. Our struggle for independence started in 1988 and resulted in the restoration of independence only in 1991. However, even the Soviet Union collapsed, its predecessor, the new empire did not want to leave Azerbaijan free as the other republics. As Georgia faced with Abkhazia and South Ossetia problem, Moldova with Transnistria, Azerbaijan was dragged into the Armenia-Azerbaijan, Nagorno-Karabakh conflict. Armenia, the birth place of Henrikh Mkhitaryan, with the help of Russian military forces has occupied 20 percent of Azerbaijan’s territory: Nagorno-Karabakh and 7 surrounding districts. Almost one million ethic Azerbaijanis were forced to leave their native land. Nearly 30, 000 people lost their lives and tens of thousands went missing. Leyla Afandiyeva, one of the authors of this appeal, was born in the town of Aghdam, which Qarabag FK represent. This town was reduced to ashes in the wake of the horrific war and the occupation. Before the occupation, 200 thousand ethnic Azerbaijanis living in Armenia were also deported from their homes where they had lived for hundreds of years. Another author of this letter, Senan Najafov, is among the deported Azerbaijanis who have not been able to visiting their native lands for over 30 years. How is the current situation? For 25 years, we have been demanding the return of our occupied territories by peaceful means. The separatist regime, military junta, created in the occupied Azerbaijani territories, tries to promote itself worldwide. This military junta destroys and renames historical monuments in the occupied territories, and erases the past. The biggest problem is that they invite foreigners to the occupied territories and try to create a legitimate image of the military junta. This is a gross violation of the norms and principles of international law. The UN and other international organizations, as well as world’s countries recognize the territorial integrity of Azerbaijan. Azerbaijan declares foreigners visiting the occupied territories without informing Azerbaijan’s appropriate state agencies as “persona-non-grata”, which means they are not allowed to visit Azerbaijan, unless they write an apology letter to the Ministry of Foreign Affairs of Azerbaijan. This is not the first such preventative measure taken in the post-Soviet territory. The territorial integrity of Georgia, Moldova ad Ukraine has been violated. Georgia and Ukraine have adopted laws on people illegally (unauthorized) traveling to occupied territories of their countries. A criminal case is brought against those who violate these laws, or they are being declared as persona-non-grata, or are faced with financial sanctions. Azerbaijan uses the same right. So simple. There are people, even members of the European Parliamentwho are not entering Azerbaijan because of their illegal (unauthorized) visits to the occupied territories. Finally, we come to the problem itself. The midfielder of Arsenal, Henrikh Mkhitaryan, has illegally visited the occupied Nagorno-Karabakh region of Azerbaijan. He visited the veterans of the war in Khankendi city and donated them various household appliances. By taking such steps, he openly expressed support to Russia’s imperialistic polices, the military junta, and occupation of the territories of Azerbaijan. In one of his visits, Mkhitaryan was awarded the “Ayrenyats Paştpan” (“Peoples Defender”) medal by the head of the military junta Bako Sahakyan. Another fact – in 2015, Mkhitaryan, when he was a player of Germany’s Borussia Dortmund, refused to play against Gabala FC in Azerbaijan. The reason could be simple. Mkhitaryan is well aware of the fact that Azerbaijan blacklists the foreigners who illegally travel to its occupied territories. Rod Judkins writes about an event he has witnessed: “I was sitting in Royal Albert Hall among thousands of music fans. Some of them came from hundreds of miles away. There was a great atmosphere. A pianist came to the stage and opened the piano and sit there 4 minutes 33 seconds in silence. This period was too much for us. - Now let’s listen to the real music. In this silence, Mkhitaryan’s interview was nothing more than the man’s belly rumble which breaks the silence in the concert hall. This is nothing but misleading the public opinion and distorting the truth. He only makes sounds similar to the belly rumble through raising a security concern over his safety because of his ethnic background. Ladies and Gentlemen, this is a big fat lie! Currently, about 30 thousands of ethnic Armenians live in Azerbaijan. Many Armenian athletes have visited Azerbaijan for international competitions, including the First European Games in Baku. Concerns over safety of the Armenian athletes have never risen. Yes. We understand that, every club has its own fans and every crowd of fans has their own philosophy and principles. However, we want to remind one situation, which is similar to the one we are talking about. Do you remember the protest of the fans of Spanish FC Rayo Vallecano against the transfer of a striker of the national team of Ukraine, Roman Zozulya? The reason behind the protest could be considered primitive. This player posted a picture of himself in his social media account with the scarf which has the photo of Stefan Bandera, a leader of the Ukrainian nationalist who cooperated with Hitler during WW2. Besides, Zozulya announced to sell his silver medal, which he earned as a striker of “Dnepr” FC when the club played in the final of the Europa League, and donated the money to the groups fighting to restore the territorial integrity of Ukraine. This is only a demonstration of humanism. This club’s fans are against any kind of violence, war, and nationalism. This is a real example of humanism and real sportsmanship love and position. What would happen when Mkhitaryan made such a statement? It should be understood that such open support of the military junta and visits to the occupied territories opens up the hands of the criminal junta and promotes use of military aggression. As a result, last year military junta killed a two-year old toddler, Zahra. Supporting the actions of Mkhtarian means supporting the Russia’s imperialistic policies, further killing of peaceful citizens including children, and supporting criminal military junta. We are not against Mkhitaryan because his ethnic background. We are against his support of above-mentioned criminal military junta. There thousands of children like Zahra as well as adults who were the victims of occupation and military aggression. It is not possible or at least not ethical to tell someone not to support a player. However, what about humanism? Who is responsible for the death of thousands of innocent children? Football should not be a tool for politics. Nevertheless, a world famous player was used to promote imperialism and support military junta and mafia regimes. He dragged football into politics. What do you do in this case? Well, staying silence is definitely not the right way. In conclusion, we return to the parable we have talked about at the beginning of the letter. - “This painting is known to me”, said the young man. Da Vinci says this is not possible. No one except his students has seen the painting. Thus, the good and the bad have the same faces; it depends on when you meet them. The truth has its own power. Usually, it is rough, upsets and frustrates people. However, you cannot sacrifice the truth just because you do not want to upset someone. We, refugee Sanan Najafov, and internally displaced person Leyla Afandiyeva send our appeal to the good faced “Arsenal” fans. Dear Arsenal fans, we loved Arsenal with Emmanuel Petit, Marc Overmars, Nicolas Anelka, Patrick Vieira, Dennis Bergkamp, Robert Pires, Sylvain Wiltord, Edu Gaspar, and Thierry Henry. We do not want to see that you change from Jesus faced people, which Da Vinci painted, to Juda faced fans. Let’s be fair, let’s raise our voice, and protect our Jesus faced images.